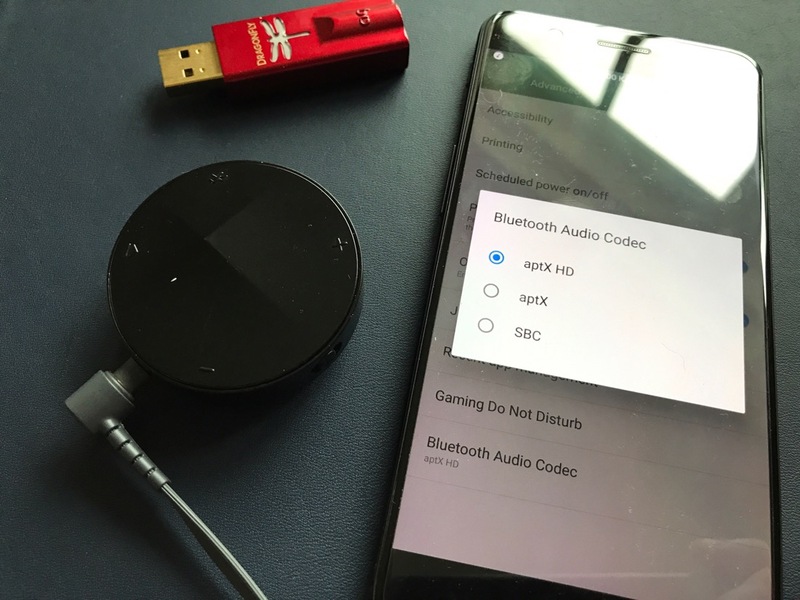 OnePlus 5 – How to activate USB Audio, Dual Bluetooth, Audio Tuner and APT-X HD? OnePlus 5. So how do you activate the advanced audio options including USB Audio, APT-X HD and the Audio Tuner? To activate the audio tuner go to the settings app. Scroll down to sound and vibration. Go to the last option Audio Tuner, turn on and tweak to your hearts content. This doesn’t work on Bluetooth audio. To enable USB Audio so you can plug in an external DAC, go to the settings app, advanced. Half way down toggle the OTG Storage setting to on. To enable the hi res APT-X HD, go to the settings app, advanced, and right at the bottom is an option for Bluetooth Audio Codec. Tap on this and choose between APT-X, APT-X HD and SBC. SBC is the default. The photo above shows the Astell & Kern XB10 Bluetooth Adapter that outputs the APT-X HD. You can read my review of the Astell & Kern XB10 by clicking HERE. So how do you connect to two Bluetooth devices at the same time on the Oneplus 5. You have to wait for Android O update to arrive on the Oneplus 5. It is not possible yet. If you have any questions on the Oneplus 5 don’t hesitate to ask. If you are shopping on Amazon UK and would like to help Gavin’s Gadgets towards the running costs, by clicking the Amazon link, it takes you to the Amazon store and you can shop away and purchase whatever you need, but without any additional cost to yourself. Wow One Plus has Aptx HD! I’m sure other reviewers have not mentioned this. It will have dual Bluetooth like the S8 with android o too. How does it sound Gavin – the 3T had a decent amp from memory and sounds pretty good to my ears – how is the 5? Slightly better actually. Does 32bit audio. What headphones are you trying to connect to it ? The music is constantly jerking on the Sony WH-1000XM2 with APTX-HD but the APTX works. And if you change codec in the Sony app, you get a problem with the pairing. It seems generally that OP 5 and Bluetooth feel cheap.